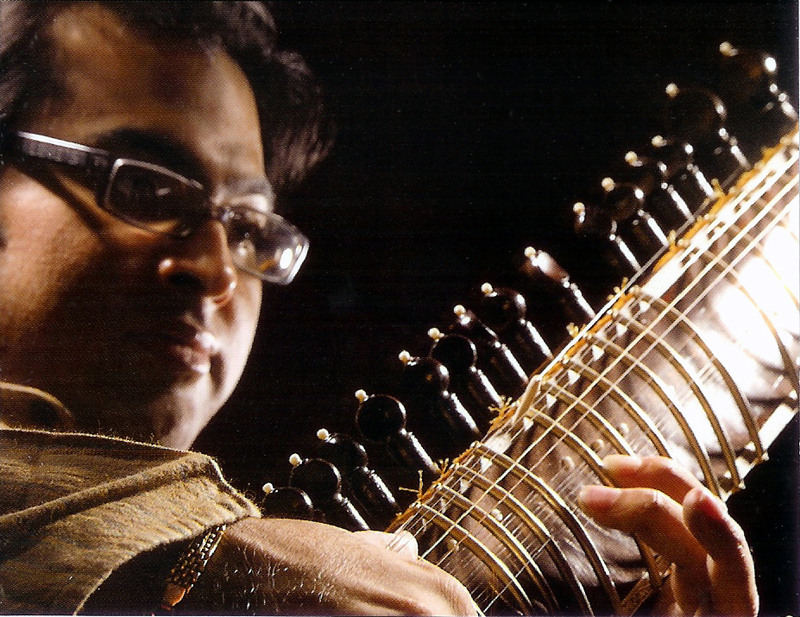 On Friday May 30th at 8:00 pm I’ll be featuring brilliant sitar player Purbayan Chatterjee from Calcutta in my 90-minute radio programme Gharana. Only 31 years of age, for the last ten years he’s been considered one of the country’s top sitar artists despite his youth. In India, artists of that age are usually regarded as just beginning their mastery. Purbayan Chatterjee belongs to the famous Senia Maihar Gharana, the school established by musical genius Baba Allauddin Khan (1862[? ]-1972), the guru of such stars as his son Ali Akbar Khan (1922) on the sarod, his daughter Annapurna Devi (1926) on the sarod, Panannal Ghosh (1911-1960) on the bansuri, and sitar players Ravi Shankar (1920) and Nikhil Banerjee (1931-1986). In addition to the beautifully executed and recorded raga Puriya, which you can hear in the second part of the programme, I’ll be painting a musical portrait of Purbayan Chatterjee, using an interview I did with with Purbayan in early April 2008. In this interview he reflects on his career and his music. 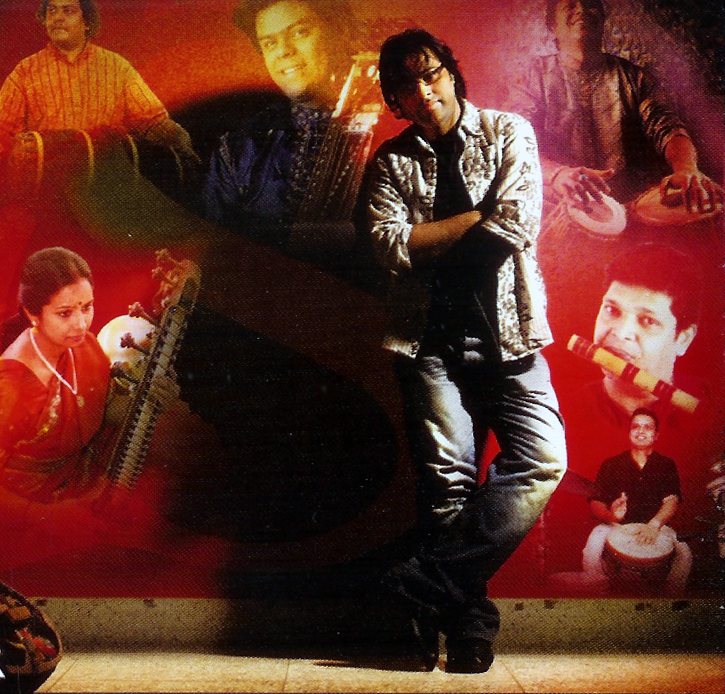 Purbayan Chatterjee is a multifaceted musician. As well as his concerts of North Indian raga music, he also performs with musicians from the South Indian raga tradition and he participates in different kinds of fusion projects with jazz and world musicians all over the globe. I’ll be highlighting these activities, such as the Shastriya Syndicate which he recently founded. This ensemble of musicians from both the northern and the southern Indian raga traditions makes classical raga music more accessible to the general public. Also included in the portrait are his duets with veena player Jayanthi Kumaresh, violinist Kala Ramnath and flautist Shashank. The music and the influence of his father Partha Chatterjee – also a sitar player – and his father’s guru, the legendary Senia Maihar sitar player Nikhil Banerjee, will of course also be featured prominently. You can listen online via De Concertzender or ‘on demand’ afterwards and also have a look at the playlist of the programme. AFTER broadcast you can also play the programme ‘on demand’ via this programme schedule page, by clicking on the speaker icon that will appear on top of the page after broadcast. And over here you can find my much longer blog-message (in dutch) with more pictures on this edition of Gharana, dedicated to Purbayan Chatterjee. This entry was posted in Gharana / raga music and tagged Concertzender, gharana, India, Nikhil Banerjee, Partha Chatterjee, Pieter de Rooij, Purbayan Chatterjee, raag, raga, Senia Maihar, Shastriya Syndicate, sitar by Pieter de Rooij. Bookmark the permalink. hi, I really liked the youtube videos, but I cannot open the programme on demand, what can I do? hi Marged, thanks for your response, glad to hear you like the youtube-video’s. I checked the link for listening ‘on demand’ -as mentioned above in my message- to the programme on Purbayan Chatterjee and the link works, you can listen ‘on demand’. If you try once more and still have problems, then please contact me again (no problem) and we’ll find a solution. Very efficiently written story. It will be helpful to anyone who usess it, including myself. Thank for share, I think very good blog.